Crossing the orchestrations and cadenzas of an epic requiem with the whirring and twisting dissonance of dubstep and the fast and steady repetition of electronica, Dark Model has created an auditory experience akin to voyaging to a distant cybertronic dystopia where scantily clad valkyries fight astride dinosaurs, laser blaster in hand. In a lot of ways, Dark Model is like playing a pinball machine from the ‘80s. The beats are fast and the imagery invoked is inspired from fantasy novels or late-night low-budget Sci-Fi shows. Or to make another sloppy analogy: Dark Model sounds like the soundtrack to a yet unproduced movie called “Stone Claw, Rise of the Masked Ones” or, maybe, “Flight of the Midnight Raiders II” –trademarked already, don’t get any ideas. As a genre, Dark Model traces its roots from the cannons of epic Heavy Metal, as far as the motif is concerned: music for epic struggles and all that. But the electronic chopping and screwing that contort the classical violins couples with the synthetic noises from unknown computer-based origins to make a dance-y feel –very un-metal. Moreover, there are few electric guitars or other standard Heavy Metal instruments. It’s the feeling that ascribes the Dark Model to the genre, the stoic energy and brute force. The aggression is there in the form of mighty war-like drumbeats, distorted riffs, and charging crescendos. Dark Model would be a head banger’s guilty pleasure, something to listen to with headphones on, loudly. 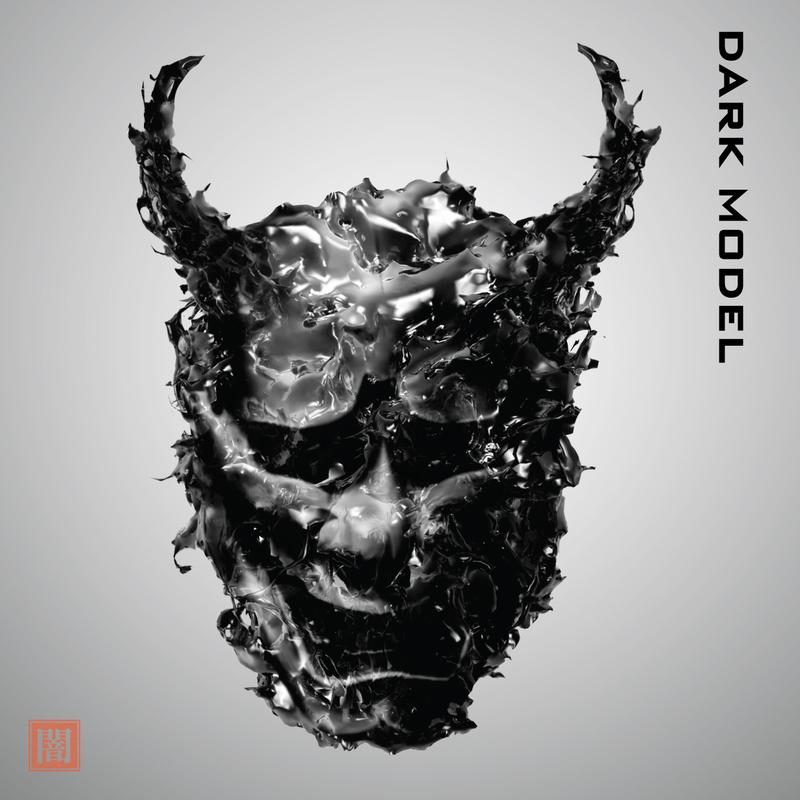 But from a dubstep standpoint, Dark Model is a bit too creepy to feature on a club mix. It’s upbeat, but it’s too nocturne to be danceable. There are elements of chamber music and Baroque flair that ask a listener to sit down and take it in while listening. “Darkstep” is too heinous a portmanteau to attribute to as genuine a work as Dark Model, but in a word is does sum up the essence of the album. There is possibly a maybe argument that Dark Model could –in some circles- be considered modern classical music. It borrows a lot of sounds from the likes of Bach and Mozart, but…errr, it’s a stretch to call it classical. It’s just way too computer enhanced. Though it would be fun to take it to the hall of King Louis XIV and see how the court responds. They’d probably like it. So if you can’t headbang to it, and you can’t dance to it, and you aren’t going to sit on a blanket at an amphitheater listening to it over a bottle of Merlot, where does Dark Model fit in a music lover’s life? Though too engaging to be background music for most daily activities, in two opposing fields it is the perfect soundtrack: working out and playing video games. The rousing horns and vibrato of the chorus give an air of momentousness to otherwise trivial activities. The melodies in each track change so often that it keeps the mind occupied and although the beats are fast and constant, there are some slow movements to keep your heart from bursting. When you need some kind of theme music to enhance a task, Dark Model can bring it. Crossing genres is tricky to do and be taken seriously, but Dark Model is an example of how it sounds when you do it right. There is an obvious appreciation of diverse musical backgrounds in every track on the album with a flair for the heroic that can unironically be described with terms like “soundscape”. It’s music that truly transports the listener.